Last week I went to a drive in. 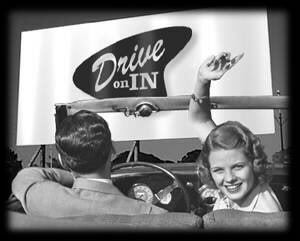 What’s a drive in? You younger generation people ask. It’s a place where you watch movies from your car and only pay 7.50 for two movies. Drive in Movie Pro Tip: Don’t park in the back if you have kids, those people aren’t watching the movie. Ok, ok so what two awesome movies did I watch? Well Monsters University and Man of Steel of course. Ya, it’s kind of a strange pairing, but remember, $7.50 for two – that’s still a steal. For the next 500 words I will describe Monsters University in great detail. So it begins with Mike Wazowski, played by Billy Crystal, you will get my thoughts on Crystal’s performances latter so hold your horses, getting off a bus and…. Blah blah blah, don’t care. The real reason for the post is to talk about Superman. If you have not seen the movie yet, cancel all plans for the day and get on it. The action scenes are a little spastic so if you are prone to epileptic fits, just close your eyes for those scenes. If you have seen the movie, how jacked is Superman, no homo. After seeing him, the first thing that came to my mind was F being strong, its all hypertrophy and clean eating for this guy for the rest of the summer. For a solid day or so I was bent on getting cut and throwing all my months of strength training all away because of this movie. Luckily for me one of my colleagues pointed out to me that I am a little ADD when it comes to sticking with my workout goals. Looking back I can see where he was coming from. Last year I was strength training all winter and then when summer came I decided to see how much weight I could cut. Then I fouled that all up and lost all my strength gains. So now I am back to strength training. I was about to fall back into my vicious cycle if it was not for my friend. I decided to hold off on the getting super jacked phase of my program for now, well at least until the new Wolverine movie comes out. Dam it I just found out Wolverine 2 comes out at the end of this month. Never mind there is no hope. I guess the whole point of this post was to tell you to not park in the back row of a drive in movie, unless you want to. The point of the post is I found out by watching Man of Steel that I have Training ADD (ask your doctor it’s a real thing… at least it should be). You have to resist the urge of falling into the trap, which is Training ADD. We can’t get distracted by the newest so called greatest workout routine or exercises. You have to keep on reminding yourself of what you are trying to accomplish. Even if you see a picture of Huge Jackmen with steel claws coming out of his arms, looking like a complete animal, you must resist. I never said it was going to be easy. Posted on July 18, 2013, in Uncategorized and tagged Drive-in theater, Man of Steel, Monsters University, Superman, Training ADD. Bookmark the permalink. Leave a comment.